JNU 2019 Application Form Correction has been started from 22nd April 2019. The University has provided the correction facility through online mode. From the year 2019, JNU exam will be organized by NTA. 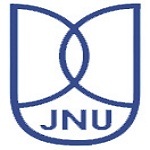 JNUEE is a university level exam which is organized for admission in UG, PG and doctoral courses offered by JNU. Here, students can check complete details regarding JNUEE Application Form Correction 2019. JNU 2019 Application form correction has been started from 22nd April 2019. Click here for application correction. Candidates can fill the JNU 2019 application form through online mode. It has been released from 15th March 2019. Last date to submit the application form will be 15th April 2019. There will no other mode to fill the application form. Candidates should fill the application form carefully. Application correction has been started from 22nd April 2019. The correction window is opened via online mode. Applicants can make corrections in their duly submitted application form only for a limited period. In some of the fields of the application form, online editing will be allowed while for corrections in some of the fields of the application form, students need to make the offline request. The online editing in JNUEE Application Form 2019 can be done after login till 28th April 2019. To log in, students are required to enter login credentials that include application number and password. All the corrections can be done by the candidate himself/herself before paying the fees through edit option available in the online form itself. Once the fee is paid and online form submitted, any correction in the online form can be carried out during the correction period. Candidates may please note that no correction in the online application form would be allowed under any circumstances after the last date. Online correction is permitted only in profile, academic qualification, academic detail & subject preferences. Below, we are mentioning the particulars in which correction is allowed. Enter all the required details like Application Number and Password. Now, make the necessary correction in the application form. Candidates must take printout of the modified application form for further use. For any queries regarding JNUEE 2019 Application Form Correction, you may leave your comments. Can I change the course I applied? ? can change before submitting the application fee. Sir bymistakly signature have been uploaded in the space of photo box….And I will I’m be Chang….Thn hw can I change it…. you can change it by click on back button. Wait for the correction period starting from 16th Oct.
Sir I have wrongly entered my date of birth in my application form.Can I correct it? Hello sir can I change my category. I’m obc but mentioned general how I change it? category can be changed by following the instructions given in article. I think this is not a changeable particular, So you need to fill the application form again. Sir,i need to ask queries related to the section of seeking deprivation points for quartile district.Actually sir i mentioned No instead of Yes.Kindly tell me through which mode of correction is needed Wheather online or Offline. You can mark a request mail to the help-desk ID of JNU. Can i change my course tha i applied? ? I am a student of a private college affiliated to a govt university. what should I have to fill, yes or no? I filled No. If it is wrong how can I correct. I’ve mistakenly applied twice for the same programme. What shall i do. Is my candidature cancelled? Pls help. This is regarding my M.A(Political Science) entrance form.My year of appearing in undergraduate exam has been filled wrong (i.e.2017 in lieu of 2018) and the form has been submitted.So,I need to know about what procedure can I follow to correct it,so that I may not suffer in future.I kindly request you to help me out on this issue I would be highly grateful to you. The correction facility will be started form the 16th of October 2018. Are you a student of any university at present ? The correction will be started from the 16th of October 2018. But, modification in this section is not allowed. sir , how we can correct this . please tell sir. I have entered the city of my permanent address wrong, how can i change that? please help. By mistake I have put my 12 marks wrong. You can wait for the correction period which will be started from 16th October. Bhai mere sath bhi yhi mistake ho gyai plz help me. JNUEE Application Form Correction 2018 will be started from 16th October 2017. I made a mistake while giving my category. I havent paid yet..What should I do? Go for edit option if it is available. You can make corrections form 16th October 2018. Sir in place of both my photograph and signature, the picture of my signature is showing after submitting the form and I’ve paid the fee. How can it be corrected? Make corrections when the correction window opens from 22nd-28th April 2019. I wrongly puted that i am a distance mode student but i am not..can i correct this ? Or it may hamper in my addmission time?? I completed my graduation in 2017 and while applying for masters i mistakenly ticked qualifying option for graduation and filled up the marks details. I was not able to untick the option. How to rectify it? No need. This is not a big mistake. No need. This is not a big mistake. If the correction period will be offered then you can make it correct. wait for the correction period to be announced by the university. Mobile number cannot be edited and pin code is not an issue. No a big one. On later you can made that correct. I have filled my JNU form . I have made an error in the duration of course (Educational qualification). Is that a problem ?I need to make corrections. Please notify me. please tell as to how we can rectify the error regarding seeking the deprivation points for quartile district . I BY MISTAKE chose a yes for this option while i,m not eligible for the same! please help!!!!!!!!! The correction facility will be provided from the 16th October 2018.
email ID cannot be changed. i have given 12 exam (regular)previous year and i have got compartment in one subject. thats why i have given compartment exam(private) this year and cleared it..in my jnu application form i have written NO for distance learning in 12 as i have given all subject regular and only one compartment exam (private) this year. now i want to know that it is correct or not…please sir tell me YES or NO….regarding my issue. I Filled jnu entrance exam’s form. But, yet i didnt get roll no and tell me correct date of entrance exam. I am a student bsc .collage of dewrahwa baba . sir, i entered NO in still studied in any current university or not. i didn’t know abt correction dates also .i am studying in last yr of bsc agri biotech, vnmkv university. so does it affect in admmision process? kindly confirm the last date for filling the phd form.I did ME in Chemical engg in which stream I would be eligible. JNU Application is over now. When are we going to receive our admit card for entrance?? What is the given time for the online publication of admit card? I payed the fees for Entrance but the fees update didn’t came, yet the bank is showing that a transaction has been made nd from ky account money as been deduced. This my be due to some technical error. You should contact the officials as soon as possible. I want to online apply for UG course. How can I apply, please guide me. Check here to know how to apply. I have corrected my once filled up form today where I had paid the application fees some days back.Will the admit card come to me? The admit card will be available online. How to get to know that my JNUCEEB application is submitted or not ? Due to some financial trouble, I was only able to arrange the money to pay the Application fees today. The application page is not letting me access the “payment method page”. Is the correction form 2017 out? hi guys how can i change my email in my application form please suggest……..
Kindly contact to the officials. N today is the last day..
you should contact to the JNU officials. I filled my first preference by mistake MA in economics with specialisation in world economy but I wanted to fill it for normal MA in economics . How do I change it ? Payment has been made. sir have wtitten yes in minority community which i am not how to correct it please guide . How to change email id if somone filled wrong in jnu 2017 ceeb??? Sir i have given a wrong e mail id can i correct that?? And also have to correct quartile district. Have I to extra pay for this ? so I have to send this to helpdesk mail of jnu? I made a mistake in category selection so I have to submit hard copy with DD. Can I make the DD from any bank ? Is it possible and when? Will I have to pay for this? In application form 2017 there is mistake in my father’s name and school name. Is it possible to correct it? Can the DD with hard copy be from any bank? I made a mistake in my category choice. Will I get the update of form correction date in my mail? Correction details has not been announced yet. JNU Entrance Exam form is not out yet. It is almost March. Can you tell, till when will the form be available?